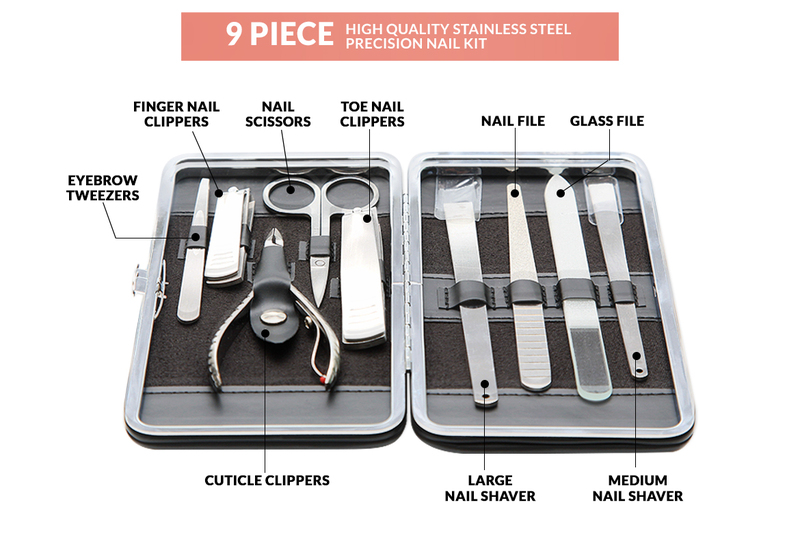 The Sympler 9 Piece nail kit is a professional grade grooming kit for all your manicure, pedicure and eyebrow needs. Hand and foot health starts at the nail! With the Sympler 9 Piece manicure kit you can clip, trim, file, pluck and shape your finger and toe nails anytime and anywhere. 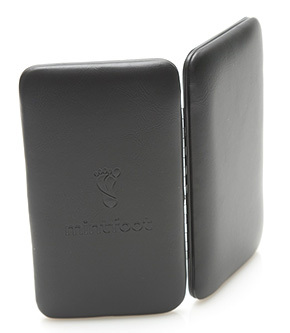 Made from high quality steel presented in a fashionable and convenient faux leather case, the kit is ideal for home use or travelling. Nail maintenance is essential for personal hygiene, many less than desirable nail conditions can be avoided through proper fingernail care. Giving yourself a manicure will instantly beautify your nails, the essential tools in this kit are required to make your nails look healthy and beautiful. The professional 9 piece kit comes with a stylish travel case so it can be used anywhere at anytime. 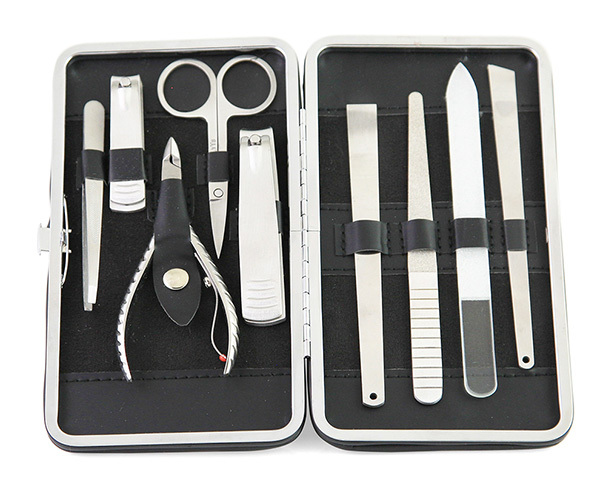 The 9 piece set includes a set of tweezers, perfect for plucking eyebrows and other unwanted hairs. Treat yourself to glamorous beautiful salon quality nails all in the comfort of your own home. Love this set for my nails so much. Has everything you can need for caring for your nails and keeping them looking good!